MANILA, July 28 -- The Department of Transportation (DOTr) on Friday has starting moving to Clark its first batch of employees. The DOTr is the first national agency to transfer outside of Metro Manila. In his address to the employees, DOTr Secretary Arthur Tugade reiterated that the greater good must prevail over personal interests as the initiative is part of moves to decongest traffic in Metro Manila and boost economic growth in the countryside. “Ang DOTr ang dapat maging ehemplo upang ang traffic congestion ay maibsan. Nandito tayo ngayon upang magbigay ng kontribusyon sa pamahalaan at ipakita na handa tayong magsakripisyo (The DOTr must set an example on doing efforts to ease traffic congestion. We are here to help the government and show that we are willing to sacrifice for the greater good),” Tugade said. He also addressed issues that his administration did not consider the welfare of employees in its transfer.”We are not leaving our people behind. We are not abandoning the health and welfare of our employees,” the transportation secretary said. The DOTr said that it had conducted dialogues with its employees “to thresh out issues, differences and fears about the transfer”. It will provide free shuttle service for employees going to and from Clark, implement flexible time and four day work week schedule to address their concerns. Subsidized accommodations for its personnel are also being discussed by the department. Furthermore, DOTr employees were given the option to transfer or be assigned to any of its attached agencies. The relocation is expected to generate savings due to less rental and overhead costs in Clark as well as gaining potential income from opening its units in Columbia Towers at Ortigas for lease. DOTr stands to earn about PHP 9.3 million per year from the transfer. The transfer will be conducted gradually by batches to ensure efficient transition and is expected to be completed by the end of this year. Meanwhile, Bases Conversion and Development Authority (BCDA) President Vince Dizon disclosed that his office will also begin the process of transferring to Clark within the next few months. The BCDA office is currently located at Bonifacio Global City in Taguig. 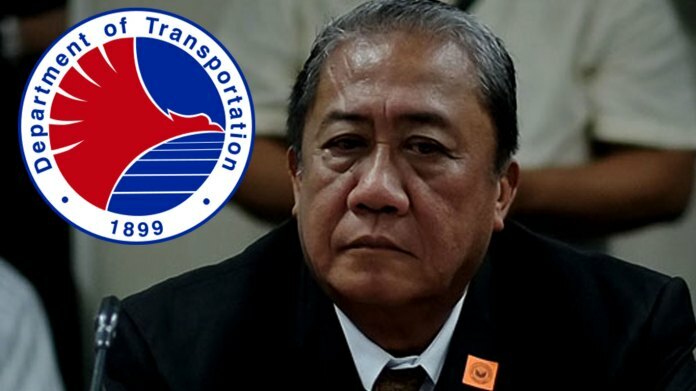 Tugade also hinted that another government agency had expressed interest to transfer to Clark. He also expressed his support on the creation of the National Government Center to be built in Clark to house central offices of government agencies in one location for more convenient transactions.